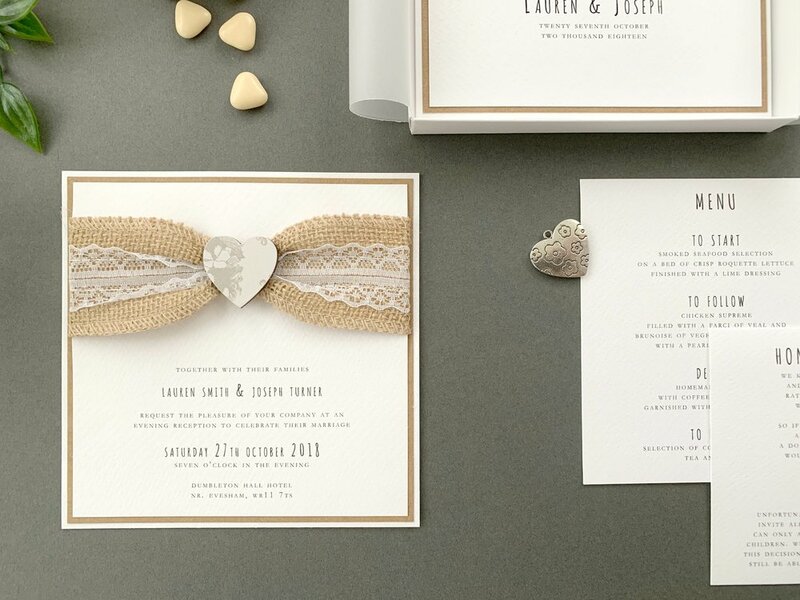 We’ve gone for a simplistic, vintage approach with our Freya wedding invitation. Whilst our Aurora collection uses hessian and our Gaea collection uses lace, with Freya we’ve combined the two! 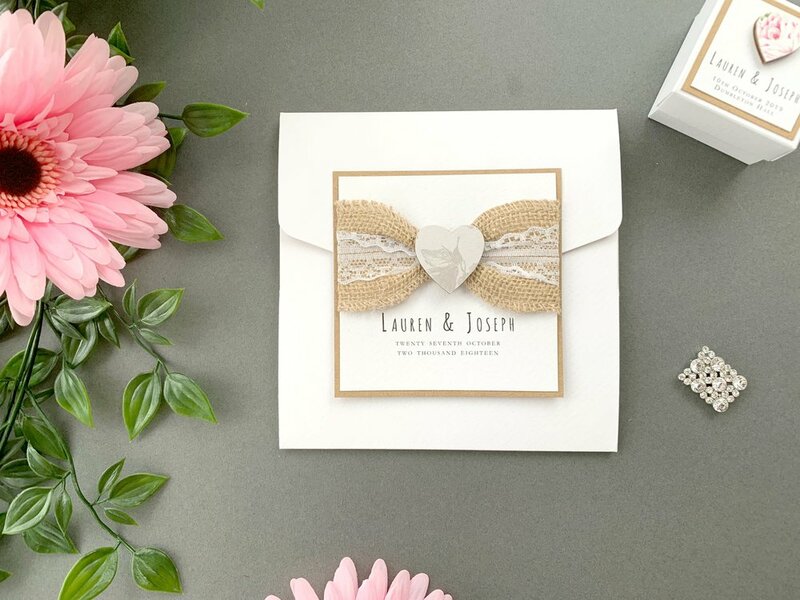 We’ve also combined cardstock finishes, using rustic Kraft sandwiched between Italian textured stock. Freya uses beautiful decorative paper to decorate the wooden heart - this is applied using a Japanese technique. We’ve used “Hortensia Ivory” for the pictured examples. Click below to see the current paper choices available for this design.